SDLP councillor Mairia Cahill has been railroaded into withdrawing from the upcoming local council elections due to concerns around her personal safety. Ms Cahill said that she had been told that she must make her home address public if she wants to retain her seat on Lisburn and Castlereagh City Council. Ms Cahill was co-opted onto the council by the SDLP in 2018. All candidates for the upcoming local government elections are required to make their address public as one of the requirements for getting on the ballot paper. Ms Cahill said that publishing her address "could put my young daughter and I at severe risk in the future. That is something I cannot do." She said that while it had been an "easy decision to make" it was a "bitter pill to swallow". 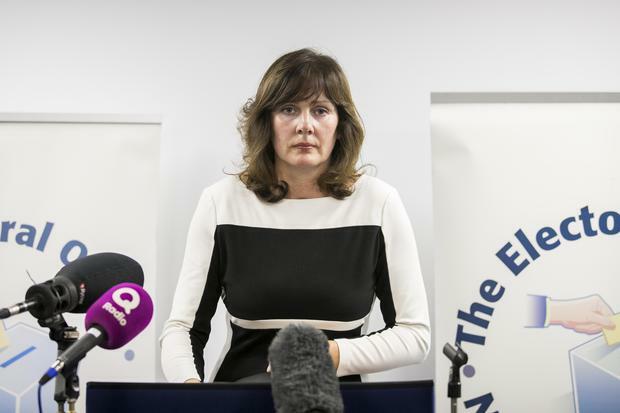 The Head of the Electoral Office Virginia McVea told the Nolan Show that she had written to the Northern Ireland Office and the Head of the Electoral Commission highlighting the issue that they may "wish to consider for legislative change". Ms Cahill said that the DUP's Lagan Valley MP Sir Jeffrey Donaldson had been in contact with her to assure her he would raise the issue with the Secretary of State and ensure it was changed for future elections. A UK Government spokesperson said they are "sympathetic to the concerns raised". "This requirement has been in place since 1962 and it would require legislation to change the law," they added. "This is not possible ahead of the local elections deadline on Monday. We will urgently review this issue going forward." Ms Cahill said that she only learned she would be prohibited from standing this week. "I went to sign my nomination forms on Wednesday night and realised it was asking for a home address, I rang Virginia McVea and she said 'this is it' basically, her hands were tied," she explained. "She told me there were at least two other cases were people were reluctant to stand because they would have to disclose their home address. It effectively stops people with safety or security concerns from running for local government. "There is an example of positive work that has been done on the council that now is going to go by the way side, that was something I made a point of doing, I went to the Black Preceptory parade, I went to Remembrance Day events, I really wanted to reach out across the community. SDLP leader Colum Eastwood said that the situation was a "total disgrace" and that the law "should protect victims of harassment not punish them". Former Labour Senator Ms Cahill came to public attention in 2010 after she made allegations she had been raped by an IRA member when she was a teenager in 1997. She waived her right to anonymity to speak out.